After 40 years of basketball, Al Monaco has coached his last game. Monaco announced his retirement as Villa Maria’s women’s coach in a news release from the school Friday. “I always wondered when I would know if the time was right, but I’m comfortable and happy to say I do know that time is now,” he said in the release. 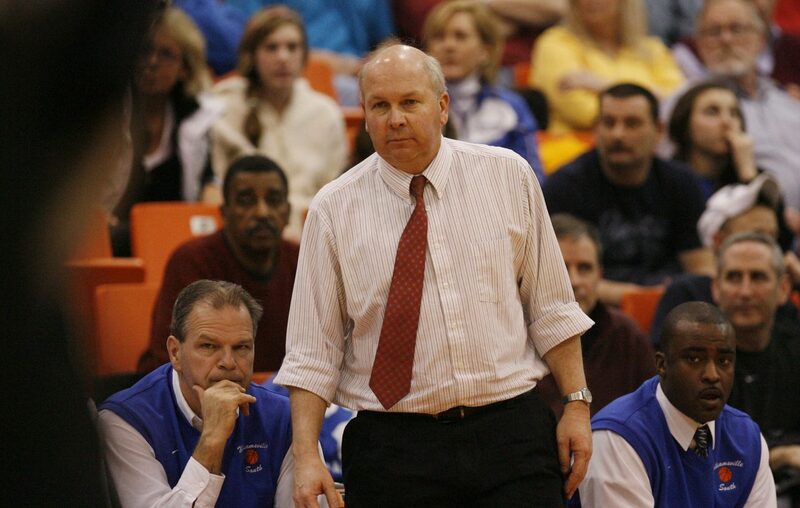 Monaco earned accolades at Williamsville South, where he had a 364-211 record in 24 seasons as the boys basketball coach and led the Billies to consecutive Section VI titles in 2010 and ‘11. His old-school coaching style led to some controversy, and the school parted ways with him in 2012. Monaco moved on to the collegiate level as an assistant coach with the Fredonia State’s men’s team, then coached by fellow Canisius College graduate Philip Seymore, but his coaching renaissance began in March 2015. That was when he accepted a job at Villa Maria to coach women’s basketball as the college was reintroducing intercollegiate athletics in the 2015-16 academic year. Under Monaco, the Vikings enjoyed an 83-22 record and had consecutive seasons of 23 wins or more. Villa Maria won a program-record 25 games this season and lost to Central Maine, 85-78, in the United States Collegiate Athletic Association championship game. "I really want to thank (Athletic Director) Don Silveri for giving me this opportunity. Four years ago when he gave me the chance to coach on the college level, it truly felt like he believed in me. The whole Villa family has been great throughout my time and it's been a pleasure to work with everyone here. I also want to thank all the young women who have came into the program. "I learned as much from them as I hope they learned from me and proud to say we had unbelievable success. I know with Coach Silveri's leadership the athletic program and the women's basketball program is in great shape and I look forward to seeing how they continue to progress in the future." Villa said it will begin a search immediately for a replacement.